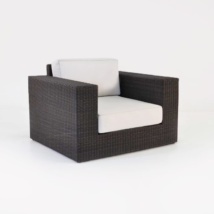 The outdoor wicker Austin center chair is part of the Austin Sectional Collection. 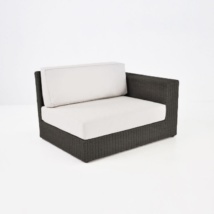 The Austin collection takes a traditional wicker weave and adds a modern vibe. The center chair can be combined with an Austin corner unit, left and right arm to create an L-shaped sofa. Or create a long and linear sofa with several center chairs and finished with a left and right armchair. Or use the Austin center chair just on it’s own, it makes a great accent chair. There are so many possibilities to ensure that you have a great outdoor living space. 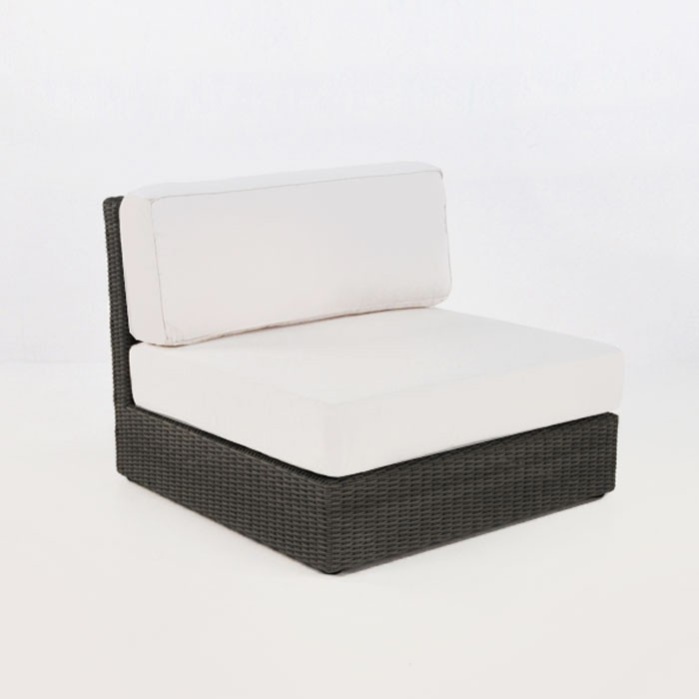 W36" x D36" x H28"
Each unit of the Austin Collection is designed with a larger and deeper seating area than most traditional wicker furniture. 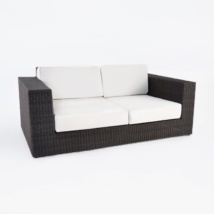 This offers more comfort and lounging space, which is perfect for the outdoors and large parties. The straight lines and flat surfaces keep the design sleek and sophisticated rather than oversized and bulky. 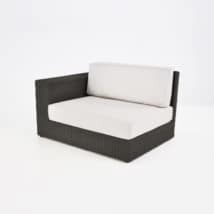 We use only the highest quality materials and expert craftsmanship to create our outdoor furniture. This ensures good looks and long lasting enjoyment. The Austin collection pieces are made with Viro® outdoor wicker, powder-coated aluminum and topped with free Sunbrella® cushions. 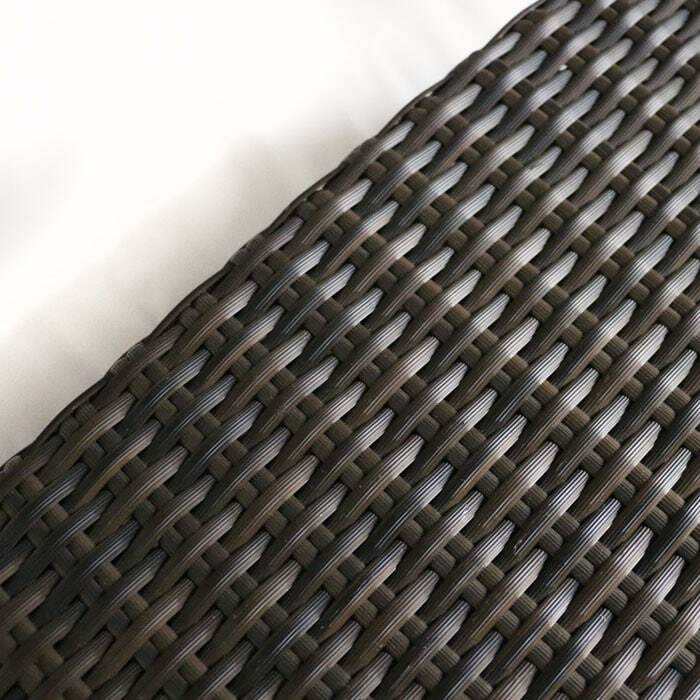 The dark brown wicker is beautifully woven around the aluminum frame. The contrast of the java wicker and the white canvas cushions make this chair look especially sharp, and also warm and inviting. It is important to keep your furniture clean and free of any debris. 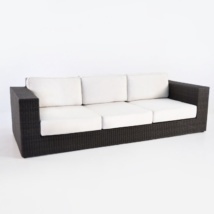 Use warm water, a soft cloth and mild soap to wipe down the wicker. And be sure to cover or store the cushions inside during harsh weather. 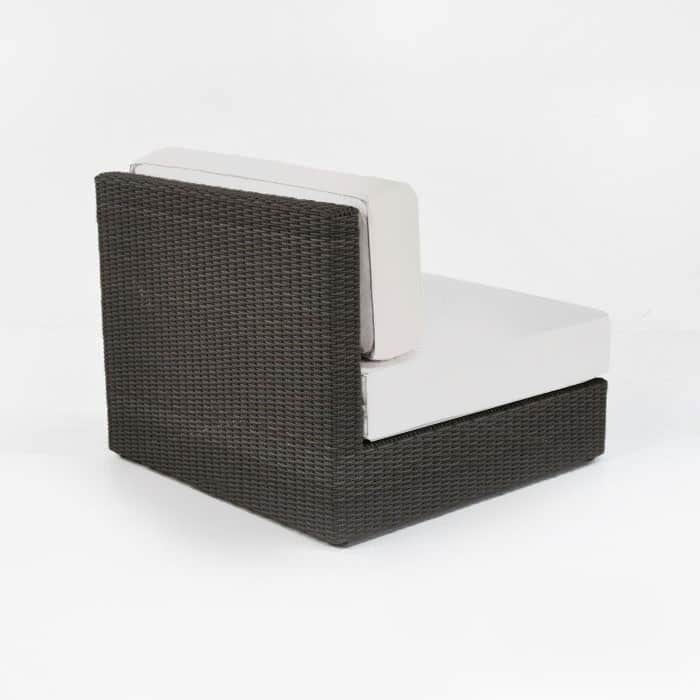 Teak Warehouse has the largest selection of in stock, fully assembled and high quality deep seating furniture in the U.S.A. We look forward to helping you create an outdoor space that you will want to use everyday whether with family or for big celebrations.